Sending Order - Your order has been sent to the restaurant and is awaiting approval. Preparing Food - Your order has made it into the kitchen. Ready to Pick Up - Your food is patiently awaiting your arrival. 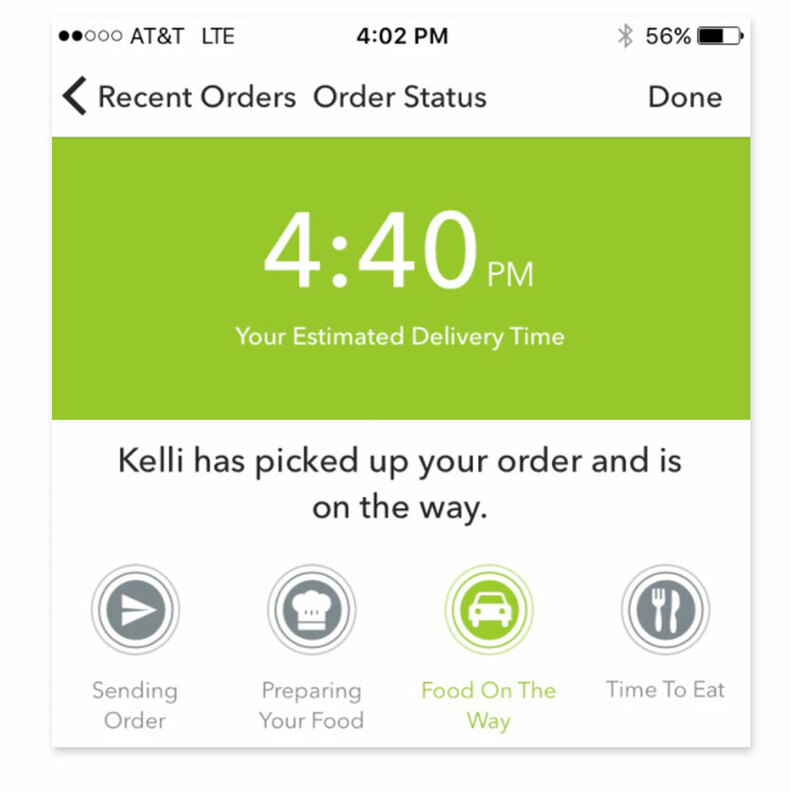 Preparing Food - Your order has made it into the kitchen, and our drivers are on high alert. 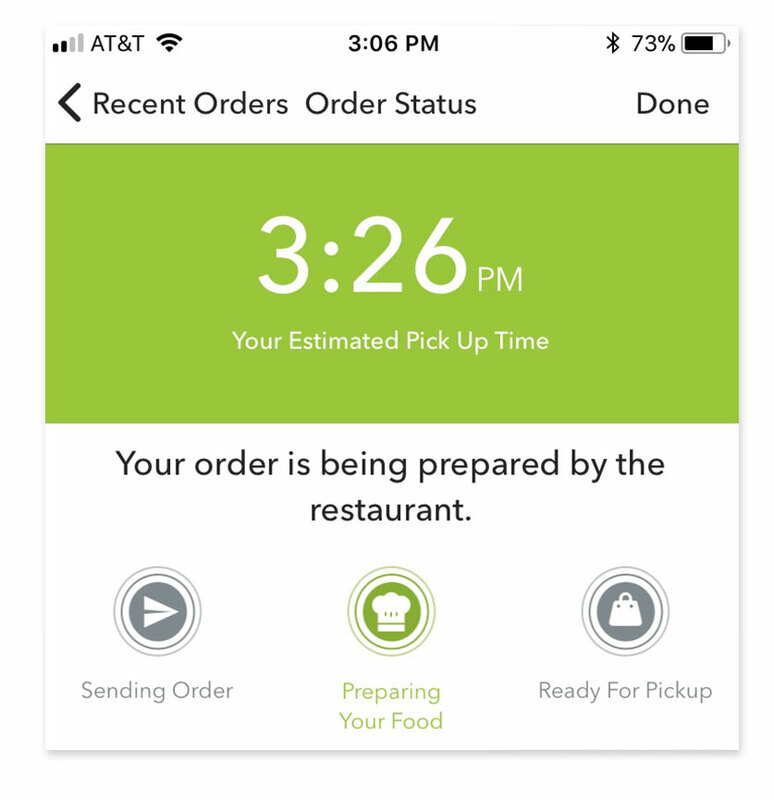 Food on the Way - One of our drivers has picked up your order and is headed your way as fast as the posted speed limits will allow. Time to Eat - Your food is in your hands. You can do whatever you'd like with it at this point. We typically recommend eating.